While I was writing this album the co-producer, Emma Heathcote, suggested ‘Liberty’ as a title. It occurred to me that since I was enjoying the freedom to write whatever I wished ‘Liberty’ was an appropriate choice. 'Spiral' is written for solo violin, piano and strings. The opening movement is scored so that the solo violin is often part of the string section, but then emerges in certain sections to reveal itself as a solo instrument. The name of the work comes from the image evoked by the solo violin and piano lines in the second movement. The third movement provides a welcome sense of calm after the energy of the first two movements and the final movement often exploits Kerenza’s ability to play in a folky, virtuosic style. Kerenza recorded this work on a Peter Guarneri violin kindly loaned by Ingles & Hayday. In August 2017 I travelled to Malta to watch three brilliant ballets choreographed by Royal Ballet First Artist Erico Montes. In the apartment where I stayed was a bust of 'Bacchus', the God of Wine. My co-producer suggested I write a piece called Bacchus and fill it with merriment and mischief. On my return to the UK I had fun writing this pizzicato piece for strings. I first worked with cellist Katherine Jenkinson in 2016 when she asked if I would write a piece for cello and piano for a forthcoming concert. Following this I wanted to write more for the cello so commenced work on 'Morpheus', a cello concerto for Katherine. For the first movement she suggested I make use of the powerful, brilliant high register that the cello has. The second movement is written around a 12-note sequence which varies only slightly throughout the movement. I wrote the solo cello part to ‘float’ over this sequence. The last movement has a driving intensity, with repeated triplet passages providing momentum. For this recording the Royal Academy of Music kindly loaned Katherine a Rogeri cello. 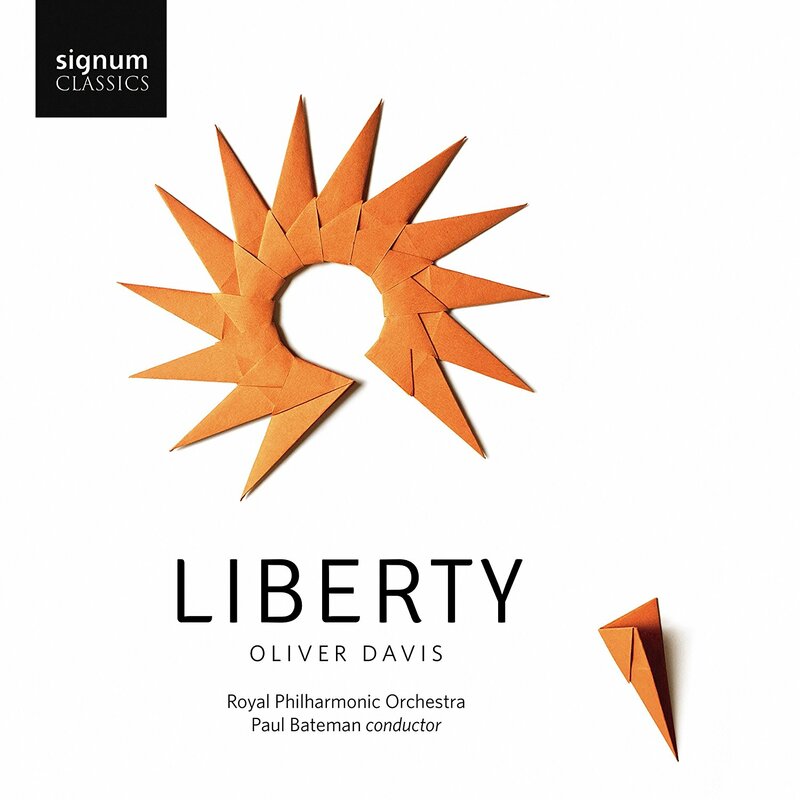 'Liberty' is written for violin, viola, piano and strings and is in two distinct parts. In the opening section I wanted a graceful feel that allowed the soloists to each have their own space to perform. It is followed by the fast, almost rustic feel of the second section where I often score the violin and viola in octave unison which allows their theme to be heard even when the full string section are playing at forte. 'Lost Lake' was written for Jonathan Hill in 2011. In fact it was the first piece I wrote for violin and strings. The fiendish virtuosic middle section is sandwiched between the outer more serene legato passages. Despite its demands upon the soloist, it remains the most performed work of my repertoire. Following Lost Lake is Sonar, where rippling piano lines and long legato phrases conjure up images of an underwater world. Whilst searching for a text to set to music I discovered 'Chillingham', three poems by Mary Elizabeth Coleridge. I was immediately attracted by the mystical quality of her writing. I composed these songs for soprano Grace Davidson, who performs all three vocal lines on this recording. “reflect the story of my life and follow the various stages in my emotional development”. 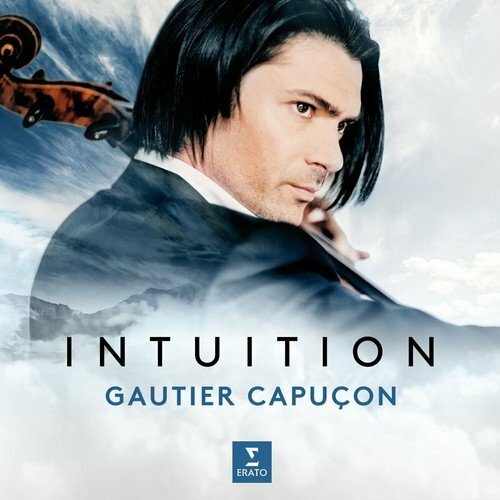 It brings together much-loved numbers by composers such as Saint-Saëns, Fauré, Massenet, Tchaikovsky, Rachmaninov and Elgar with newer music by Astor Piazzolla, the Italian cellist Giovanni Sollima and the pianist Jérôme Ducros, who also appears on the album. The Swedish composer Dag Wiren (1905-1986) is, for most music lovers, at best, a one-hit wonder, and for many, a no-hit wonder. 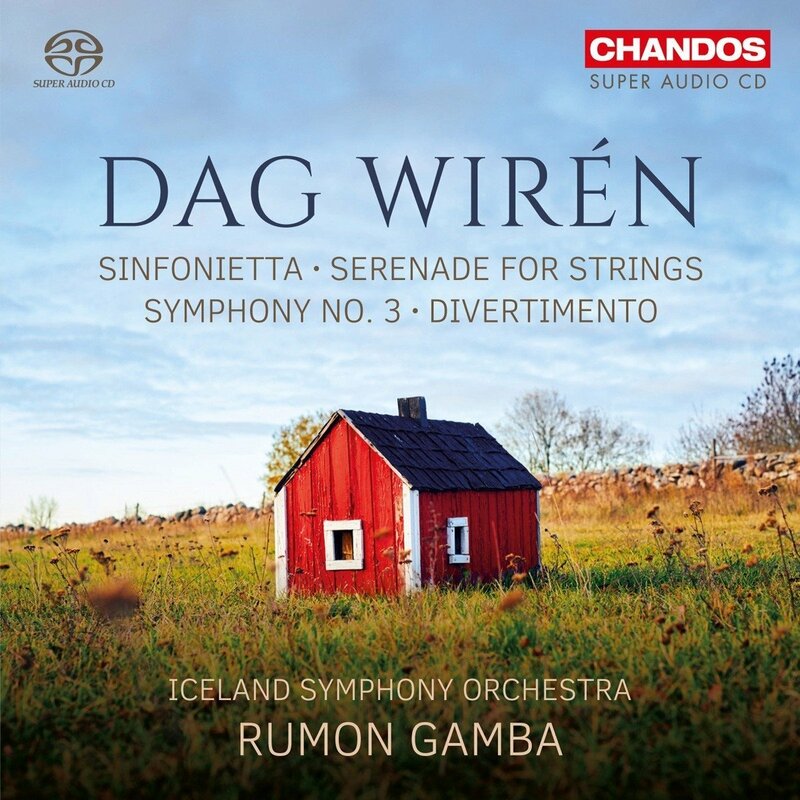 This Iceland Symphony Orchestra CD, conducted by the British conductor Rumon Gamba, won’t totally change that. But it does show that Wiren wrote some attractive music well worth a listen, even if not totally memorable except for the Serenade. The 15 minute Serenade (1937) is a wonderful piece, especially the concluding March, and is alone worth the price of this disc. Of the other pieces, the earlier Sinfonietta (1933-4) is a good listen, especially the finale, which is a dry run for the Serenade’s march. The short, twelve minute, Divertimento (1953-57) is also worth hearing, but, given that it was written 20 years after the Serenade, shows Wiren’s talents did not expand very much with age. The Iceland Symphony Orchestra play well here. However a different team to normal at the controls, do not, sadly, produce the usual vivid Chandos sound. 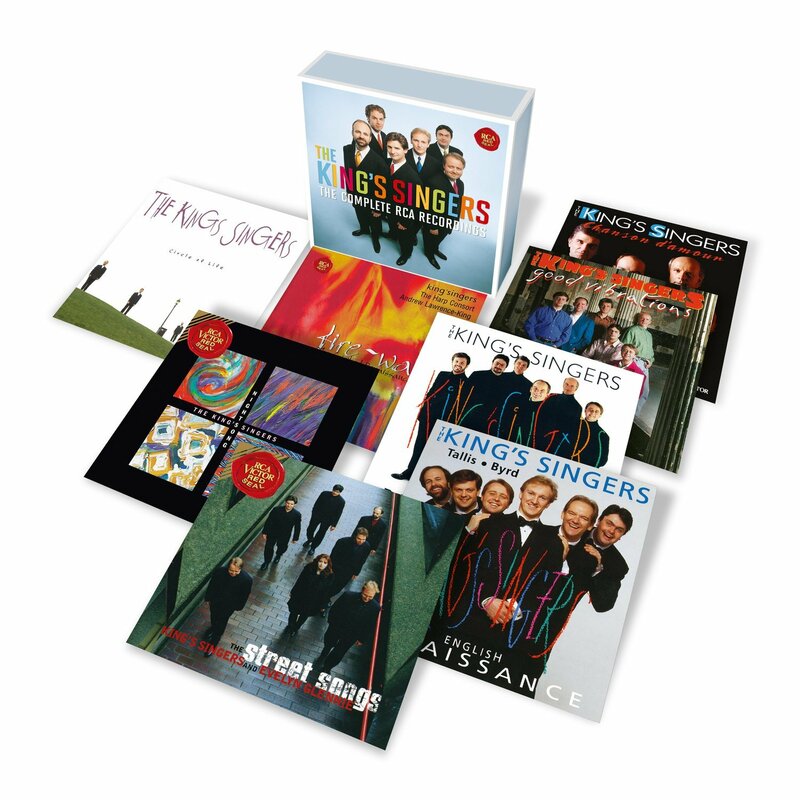 This King’s Singers compilation will delight their many fans, and surely make a lot more. Handily priced at around £25, this box covers an amazing range of music. For instance, CD1 “Good Vibrations”, embraces the Beach Boys, Freddie Mercury and Simon and Garfunkel etc. CD2 is devoted to Josquin des Prez (1440-1521) that’s quite a leap, but they manage it remarkably well. There’s also an album of Gilbert and Sullivan, that’s great fun; one devoted to Brahms and Schumann; and another first class popular CD called Circle of Life. These are close-harmony arrangements of songs from the movies, including of course, Elton John’s Circle of Life, and also including I will Always Love You, and Live and Let Die. This generally magnificent 1960 Tristan from Vienna is the latest to receive the special Decca treatment reserved for their finest Historical opera recordings. It now reappears, not inexpensively it must be said, with its 3CDs remastered employing the finest current technology, and encased in a 300 page book. Luxury indeed, but, then, this recording is well worth the pampering. Tristan is such a celebrated piece, it’s impossible to say any one recording is the best. But this is certainly one of the finest ever issued, for two reasons: The singing of Birgit Nilsson, and the conducting of Georg Solti. Solti is better at tension than sensuality. For sensuality you have to go to Karajan, but there are plenty of hugely dramatic moments in Tristan, which Solti handles magnificently. The enhanced sound here make those special moments an even more riveting experience than previously. As for Nilsson, she has claims to be the finest of them all. Every note is hit dead centre. Nothing is attacked from beneath. Her voice soars with passionate conviction over even the heaviest orchestral passages. She was a really special Wagner singer, and no committed Wagnerite should be without all of her Wagner recordings. By the way, she was once asked what was the secret of a great Isolde performance. To which this wonderfully down to earth Swedish singer replied; “comfortable shoes”.